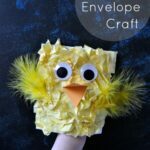 This cute and simple chick craft for kids was inspired by our recent Baa Baa Black Sheep craft. 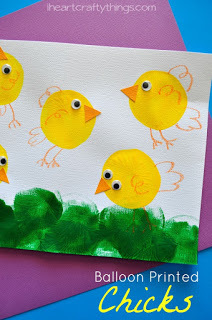 I loved the fun fluffy texture we got when we colored with white crayon on top of the black paint to make the sheep wool, and it made my mind spin with other fun ways we could get that same type of texture with different crafts. This time we used Fun Chalk to make that same fluffy texture and boy oh boy, I love how cute it turned out! 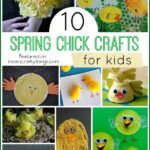 If you’re looking for a simple chick craft to make for Easter, you don’t want to miss this one! 1. 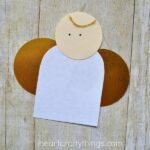 Start by cutting an oval shape out of your white cardstock paper. 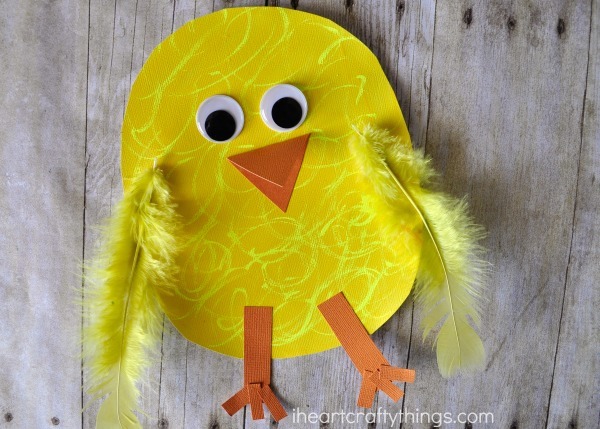 Paint it with your yellow paint and then set it aside to dry. 2. 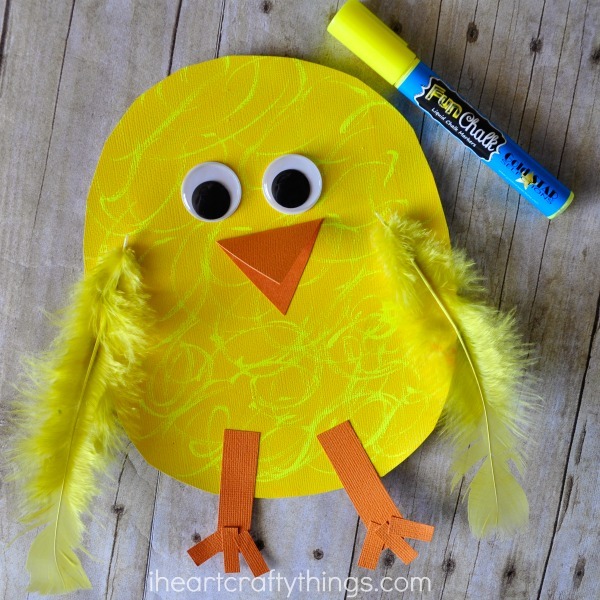 When your paint is dry, get out your yellow Fun Chalk marker and use it to draw squiggles all over your chick. This gives it such a fun fluffy texture. 3. 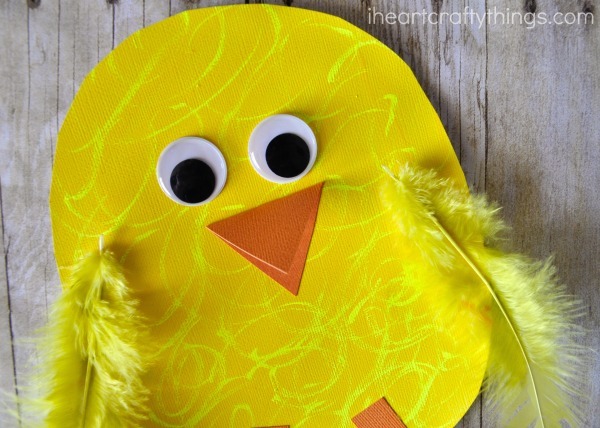 Cut out a beak and legs and glue them onto your chick craft together with googly eyes. 4. 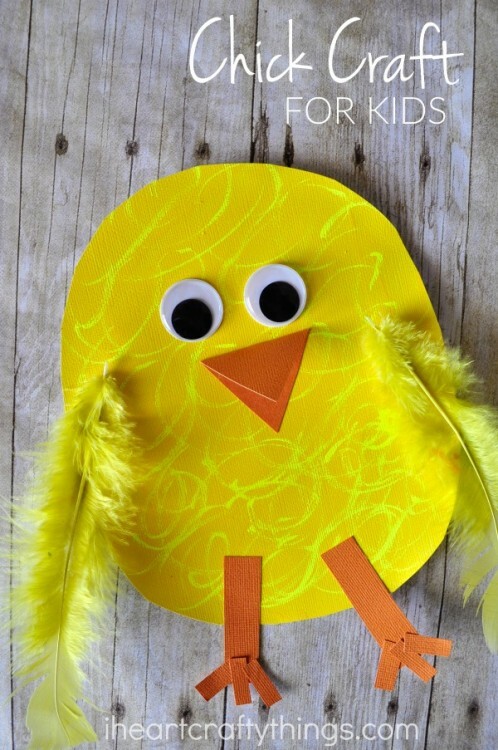 Finish your chick by gluing yellow feathers onto the sides.